Celebrating 20 years of sailing along China’s Yangtze River in 2014, Victoria Cruises has launched its anniversary sailings which will feature a brand new excursion along Goddess Stream – one of the Yangtze’s tranquil tributaries. Prices will remain the same for 2014 with rates starting at $880 per person, while the five-star cruise line emphasizes its Executive Amenities upgrade, which provides access to exclusive ship areas and other VIP perks from an additional $200 per person. Agents are encouraged to follow Victoria Cruises on Facebook to gain access to a series of planned 20th anniversary-themed promotions which will kick off in January. Rates for 2014 departures of Victoria Cruises’ Three Gorges Highlights program in a private balcony Superior Stateroom begin at $880 per person, based on double occupancy. Four-night upstream departures out of Yichang will operate daily excluding Tuesdays, while three-night downstream cruises will depart out of Chongqing six days per week from Sunday through Friday. 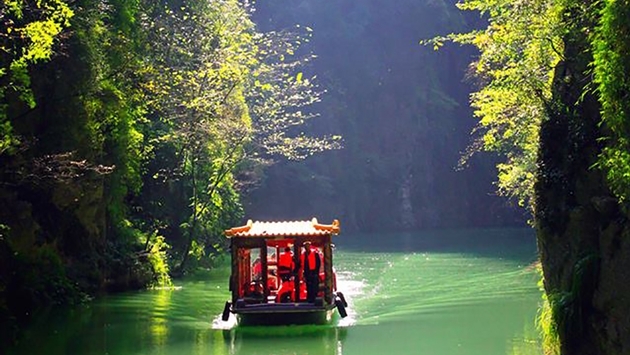 Victoria Cruises will offer daily departures for the Three Gorges Highlights program during the summer. A shore excursion package inclusive of all standard excursions costs an additional $90 per person and includes tours of the “Ghost City” of Fengdu and Three Gorges Dam as well as a scenic journey on a traditional sampan through Goddess Stream, surrounded by beautiful peaks and teeming with local wildlife from monkeys to mountain goats. Once just a brook, the Three Gorges Dam raised the water level of Goddess Stream and it now flows from the southern bank of the Yangtze, opposite Goddess Peak (may be substituted with Shennong Stream or Daning River tributary excursions, based on river conditions). Passengers can also opt to sail the full navigable length of the river between Chongqing and Shanghai with Victoria Cruises’ eight-night upstream or six-night downstream Grand Yangtze Discovery program. The expanded sailing encompasses all the highlights of the three- and four-night cruises with additional sightseeing east of Yichang, including cultural Wuhan, scenic Jiuhuashan (Mountain of Nine Lotuses) and bustling Nanjing, where passengers will visit the Sun Yat-sen Mausoleum. Rates for the Grand Yangtze Discovery program in a private balcony superior stateroom start at $1,610 per person, based on double occupancy, while the excursion package costs $240 per person. 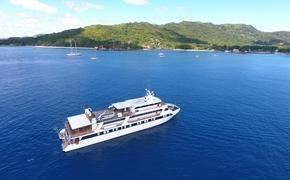 Upstream sailings will depart every other Friday, while downstream departures will operate every other Saturday. The Grand Yangtze Discovery program will not operate in July and August. Travelers sailing on upstream departures can gain an introspective glimpse into the local life of the Xiling Gorge region, with opportunities to see Toad Spring, statues of the ancient Ba nationality, scenic Dragon Stream, Monkey Hill, Lover Bridge and Huanglong Waterfall on the Tribe of the Three Gorges optional excursion, available for an additional $45 per person (weather permitting). Guests sailing on cruises in either direction have the chance to participate in an optional excursion to White Emperor City (weather permitting), which overlooks the Western end of the Qutang Gorge. A temple built to commemorate Gong’s reign dates back more than 1,950 years. The optional excursion to White Emperor City is priced at $42 per person. Guests sailing in either direction on the Three Gorges Highlights program can also participate in an optional shore excursion to Shibaozhai, known as the "Pearl of the Yangtze." Shibaozhai represents one of the gems of Chinese architecture along the banks of the Yangtze River. The temple was built during the reign of the Emperor Qianlong (1736-96), and in 1956 three more stories were added. Each floor is dedicated to the famous generals of the Three Kingdoms period (AD 220-65), local scholars and renowned Chinese poets. The rising waters of the river have surrounded the pagoda, which has been preserved with a tiny dam of its own. The optional excursion to Shibaozhai will cost passengers an additional $42 (weather permitting). All Victoria Cruises sailings use new or newly-renovated five-star ships with luxurious amenities, exciting onboard activities and authentic cultural performances in the evenings. Passengers can maximize their enjoyment by upgrading to Victoria Cruises’ Executive Amenities Program featuring enhanced ship placement and a host of VIP additions including “white glove” service, access to exclusive ship areas, complimentary Wi-Fi Internet access, enhanced dining privileges, shoe shine service and reserved seating for evening entertainment (must be reserved in advance). The Executive Amenities Program starts at $1,080 per person, based on double occupancy, with accommodations in a private balcony Superior Stateroom on the Three Gorges Highlights itinerary, and $1,910 per person for the Grand Yangtze Discovery program. Lavish executive, deluxe and Shangri-La suites are also available for an additional cost. “Much has changed on the Yangtze River in the last 20 years, including the completion of the Three Gorges Dam project, which raised water level on the river allowing for an improved sailing experience with access to new excursions,” said Larry Greenman, manager of public relations and customer service for Victoria Cruises. “But while some things change, others stay the same and Victoria Cruises remains the finest guide for Western passengers interested in exploring the Yangtze River in five-star elegance,” noted Greenman.